I m sure, Many times you have desired to copy text from scanned Pictures or any other image. Today i m gonna tell you how you can do it with OCR methodology.Now If you need the text from an image you don't have need to sit and type the whole text. 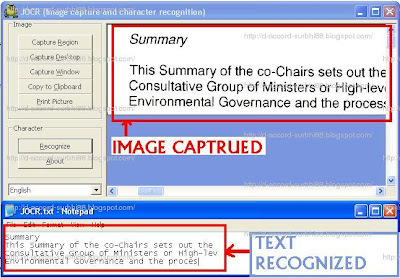 OCR is the mechanical or electronic translation of scanned images into editable text form. 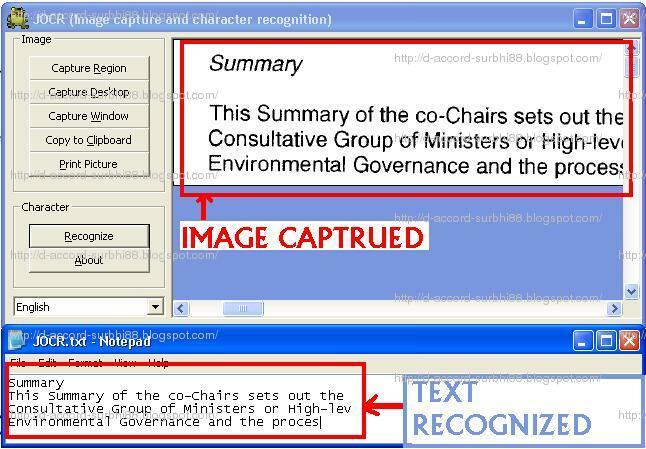 It recognize and extract text from an image and convert it into an editable text document. Download JOCR image capture and image recognition tool. Click on capture region and select region in which text should be recognized by JOCR. Am facing error message saying "Active X component can't create object" and asking me to confirm available language in MS Office. But the path given by tht message(for setting OCR language) is not available in MS Office 2007. What to do ?